It's class president election time, and no one is surprised when Veronica Pritchard-Pratt is the only name on the list. She's the most popular girl in school, a social giant who rules the campaign every single year. David, for one, is sick of the tyranny--which he says. Out loud. When Veronica hears about this, she issues a public challenge to David. With his pride on the line, David accepts his fate and enters the race. We love the idea of a hotly contested election! Don't we all remember the election posters lining the walls in middle school? Whether you ran for office, helped out on a campaign, or dropped your vote in a shoe box, class elections were a big deal. Based on the blurb, we're not sure who we want to win. Plus, which musical are they performing together? And what is the secret Veronica's hiding? We can't wait to find out! The first thing that jumped out to me was the title treatment. Turning the title into a poster--and adding that “Don’t” button--was a stroke of genius, and I love, love, love the font. I wasn’t sure how they’d present David and Veronica on the cover, since Veronica is supposed to be more than a foot taller than David, and I’ll be the first to admit I wasn’t entirely sold on using these models at first. But after we tinkered with it, we discovered that the height disparity created more confusion than intrigue when we tried to represent it, so we went back to this version. It just goes to show you might have to try something different to find out what really works. If you want to know even more inside dish on how the cover came about, stop by Krista's website today for an exclusive interview with the cover designer. And be sure to enter the Rafflecopter below for a chance to win one of THREE signed Advanced Reader copies of DON'T VOTE FOR ME! Krista Van Dolzer is a stay-at-home mom by day and a children's author by bedtime. She lives with her husband and three kids in Mesquite, Nevada, where she watches too much college football and looks for her dead people online. She’s the author of the forthcoming THE SOUND OF LIFE AND EVERYTHING (G.P. Putnam's Sons Books for Young Readers, May 2015) and DON'T VOTE FOR ME (Sourcebooks Jabberwocky, August 2015). Thanks, Krista, for sharing DON'T VOTE FOR ME with us today! I did not ever run for office in school. I would have lost because it was purely a popularity contest. In high school, my friends and I actually started a "VOTE NO" campaign to discourage people from voting in school elections because we thought they were stupid. I'm interested to see how this book deals with them! Us, too! 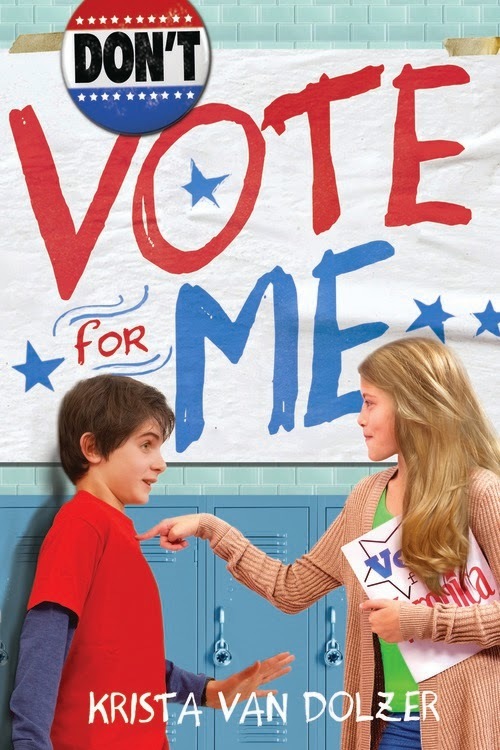 School elections are so fraught with politics, it's a perfect backdrop for middle grade emotions. I ran for president of National Honor Society. It was a tie vote, and for some strange reason I told my competitor he could have the title. To this day I wish I could have been president. Love it! Thanks for featuring this one! It's really cute cover, their expressions are humorous and say quite a bit. 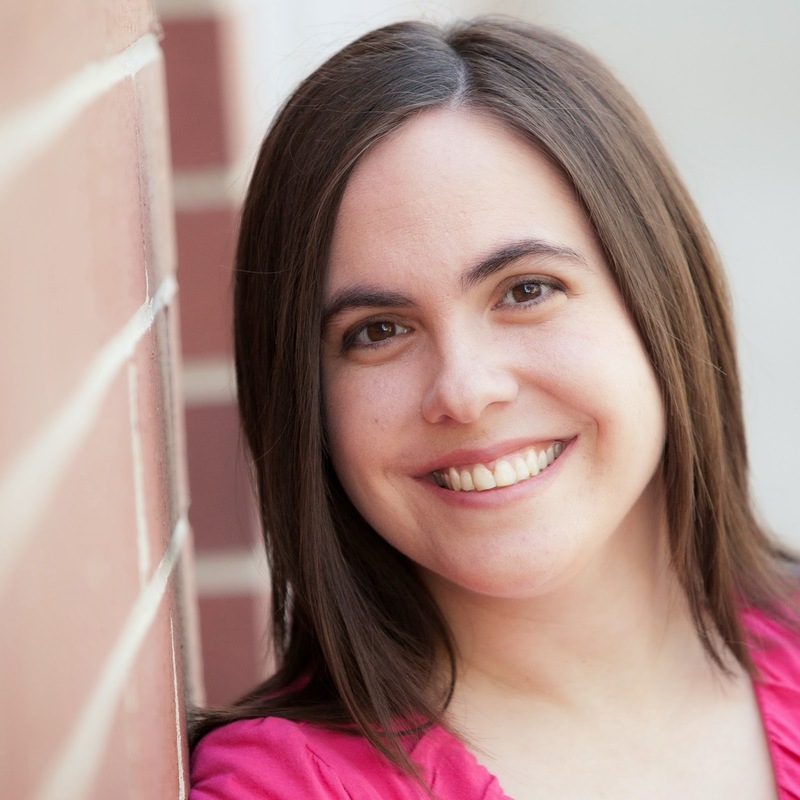 Loved reading abut the book cover process on Krista's blog. It's so cute and fun and so reminiscent of middle school days.